The iPhone 6 Plus can take advantage of the larger screen size--especially while in landscape mode. 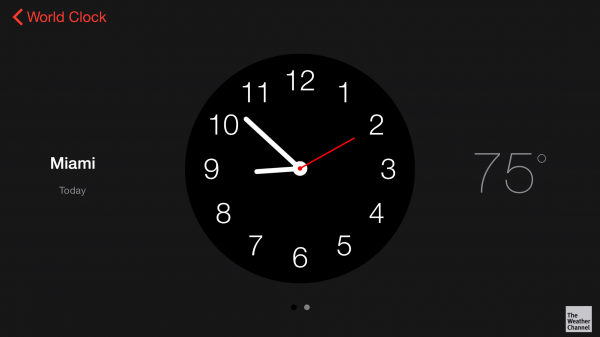 Turns out the iPhone 6 Plus provides additional views in the stock clock app. Here's how to view them. When Apple released the iPhone 6 and iPhone 6 Plus in September there were few distinguishing characteristics between the two models aside from their screen size. The iPhone 6 Plus has a bigger battery, and therefore had longer battery life. In addition, the 6 Plus also has image stabilization–which is really one of the best features of the bigger phone. Now, when you are trying to take a photo or video and the environment is a tad bit unsteady, the phone automatically corrects the action for you. In addition to these great features, the iPhone 6 Plus also can take advantage of the larger screen size–especially while in landscape mode. Many of Apple’s stock apps already do this by dedicating half the screen to one action, while displaying other options in the remaining app–like in the Mail App. Turns out the iPhone 6 Plus provides additional views in the stock clock app, too–I just never realized it before tonight. 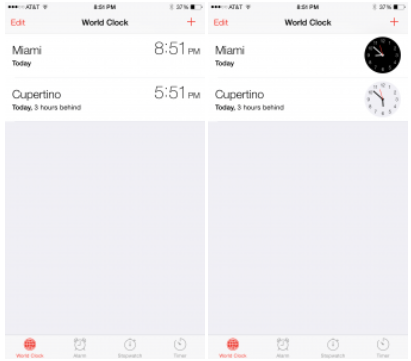 When you turn your iPhone 6 Plus to landscape mode you will see the city name and either digital or analog clock. Furthermore, while in analog mode, the current temperature of the selected city will be displayed. Also, depending on the time of day, the background will either be white for daytime, or black for nighttime. One big drawback when using the stock clock is that unless you live in a big city, you won’t be able to display the weather exactly where you live–which is a real bummer. Not sure why they can’t use the same “current location” information used in the weather app. 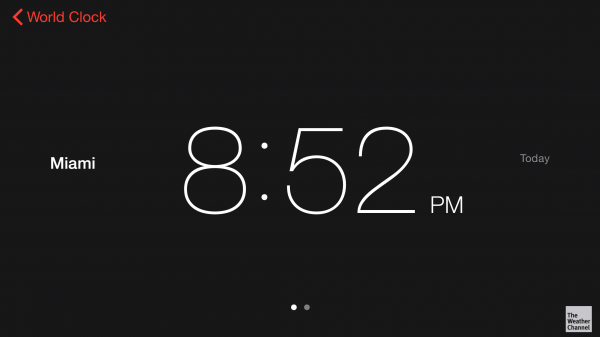 You can also change whether you see an analog clock or a digital clock in portrait mode by tapping on the display, which will toggle back and forth between each choice.